In a previous essay, I wrote about Alan and Catherine Murray, a married couple in their late forties who defeated Educational Credit Management Corporation in a Kansas bankruptcy court. ECMC appealed, and the Murrays prevailed again--a victory that has important implications for middle-income student-loan debtors. The Murrays took out student loans in the 1990s to obtain undergraduate degrees and master's degrees. Their total indebtedness was $77,000, which they consolidated in 1996 at an interest rate of 9 percent. Over the years, the Murrays paid $54,000 toward paying off these loans--70 percent of the amount they borrowed. But they obtained economic hardship deferments during periods of financial stress, which allowed them to skip some loan payments. And they entered into an income-based repayment plan to lower their monthly payments to a manageable level. Although the Murrays handled their student loans in good faith, interest on their debt continued to accrue; and they made no progress toward paying off their debt. In fact, when they filed for bankruptcy in 2014, their loan balance had ballooned to $311,000--four times what they borrowed! Judge Dale L. Somers, a Kansas bankruptcy judge, gave the Murrays a partial bankruptcy charge. It was clear, Judge Somers ruled, that the Murrays could not pay off their total student-loan indebtedness and maintain a minimal standard of living. And it was also clear that their financial situation was not likely to change. Finally, Judge Somers concluded, the Murrays had handled their student loans in good faith--an essential requirement for discharging student loans in bankruptcy. On the other hand, Judge Somers determined, the Murrays could pay off the original amount they borrowed ($77,000) and still maintain a minimal standard of living. Thus, Judge Somers discharged the accumulated interest on the Murrays' debt, but required them to pay back the original amount they borrowed. ECMC, the Murrays' ruthless creditor, appealed Judge Somers' decision. ECMC argued, as it always does, that the Murrays should be put in a long-term income-based repayment plan (IBR) that would last from 20 or 25 years. But U.S. District Court Judge Carlos Murguia, sitting as an appellate court for the appeal, affirmed Judge Somers' decision. "The court agrees with Judge Somers' findings and conclusions that [the Murrays] made a good faith effort to repay their loans," Judge Murguia wrote. Significantly, Judge Murguia, ruling in the capacity of an appellate judge, explicitly rejected ECMC's argument that the Murrays should be placed in an IBR and that none of the Murrays' $311,000 debt should be forgiven. "The court disagrees," Judge Murguia wrote. "Under the circumstances of this case, debtors' payments under an IBR plan are insufficient even to stop the accrual of additional interest, and such payments directly contravene the purpose of bankruptcy." Judge Murguia noted that Judge Somers had not discharged all of the Murrays' indebtedness--only the accumulated interest. "He discharged that portion--the interest--that had become an undue hardship on debtors, denying them a fresh start." ECMC v. Murray is an important case for two reasons: First, this is one of the few student-loan bankruptcy court decisions that have granted relief to middle-income student borrowers. The Murrays' combined income was about $95,000. Second, the key ruling by both Judge Somers and Judge Murguia was their finding that the interest on the original debt would constitute an undue hardship for the Murrays if they were forced to pay it back. Furthermore, this would be true even if the Murrays were placed in an IBR because the monthly payments under such a repayment plan were insufficient to stop the accrual of interest. There are hundreds of thousands of people in circumstances very similar to the Murrays. Their loan balances have doubled, tripled or even quadrupled due to accumulating interest. People in this situation will never pay off their total indebtedness. But most of these people, like the Murrays, can pay off the amount they originally borrowed if only the accumulated interest were wiped out. Let us hope student loan debtors situated like the Murrays will learn about ECMC v. Murray and find the courage to file bankruptcy and seek a discharge of their student loans--or at least the accumulated interest. 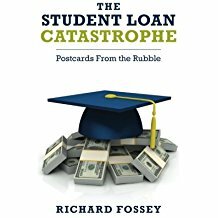 After all, it is the accumulated interest, penalties and fees that have put millions of student borrowers in a hopeless situation. The Murray decision offers a fair and reasonable solution for these people and gives them a fresh start. A fresh start, after all, is the core reason that bankruptcy courts exist. Murray v. Educational Credit Management Corporation (Bankr. D. Kan. 2016), aff'd, No. 16-2838 (D. Kan. Sept. 22, 2017).